Most patients have a commercial healthcare insurance plan that pays a portion of the cost should they become ill or require medical attention. Commercial plans account for the bulk of a practitioner’s reimbursements, but an extensive array of government operated insurance plans are available that offer an added source of revenue. Nitin Chhoda wraps up his two-part series on medical payers with a look at government-funded healthcare insurance. The federal government sponsors an array of healthcare insurance medical programs for military personnel and their dependents, the elderly and disabled, low-income individuals, and employees that are injured at work. Originating at the federal level, some programs are administered by individual states or through regional contractors. The largest government operated insurance plan is Medicare, serving the disabled and those 65 or older. It’s essential for practitioner to verify a patient’s Medicare coverage. Medicare is confusing to medical clients and many mistakenly believe they’re enrolled for services when they’re not. Medicare prefers to pay providers via electronic fund transfer and most claims are paid without problem when submitted correctly. Use electronic medical record technology whenever possible to facilitate the payment process. Medicare is comprised of four components. • Part A – Pays for home healthcare, hospice, in-patient hospital stays and skilled nursing facilities. • Part B – is optional and pays for medically necessary services. • Part C – is a replacement plan for employer-based policies that allows individuals to enroll in a private healthcare plan if they desire. • Part D – covers prescriptions. For low-income individuals and some Medicare recipients, Medicaid assists by paying all or a portion of their medical bills. The program follows federal regulations, but may be administered by private healthcare companies. Practitioners may find it difficult to verify a patient’s eligibility status and Medicaid maintains a fee schedule that’s not negotiable. Funded by the Department of Defense, Tricare is used by active military personnel and their dependents. Coverage is separated into three parts to address the different healthcare needs of the individual. The medical plan pays a set amount and practitioners are expected to accept that amount as full payment, without billing patients for the difference. • Tricare Standard – is used by active, reserve and retired military personnel, and eligible family members. • Tricare Prime – serves the same individuals as Tricare Standard, but requires members to seek treatment from network providers only. • Tricare for Life – is a supplement for former Tricare members who are eligible for Medicare. The Civilian Health and Medical Program of the Uniformed Services provide coverage for VA patients who don’t qualify for Tricare, along with spouses and children of veterans disabled or killed in the line of duty. CHAMPUS works much like an HMO, and requires referrals and prior authorizations. Employees who have been injured or disabled on the job, or acquired an occupation-related disease, are eligible for Workers’ Compensation. Providers must enroll and be assigned a Department of Labor number. Medical services must be medically necessary and receive prior authorization. Clinicians of healthcare practice management must ensure all procedures are reported and have a verified diagnosis code from Workers’ Compensation. Medical records must be included with the reimbursement claim and practitioners must provide regular follow ups. Even then, clinicians aren’t guaranteed payment, which is distributed according to a pre-determined fee schedule. Payments are made via electronic fund transfer. Workers’ Comp claims are submitted to one of three divisions – Federal Employees’ Compensation, Division of Coal Mine Workers’ Compensation and Division of Energy Employees. 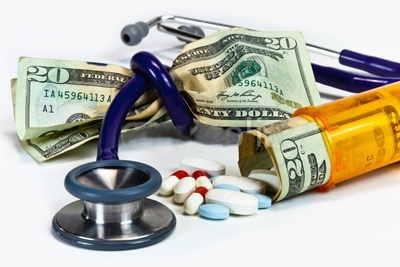 Government-funded healthcare plans offer practitioners additional source of revenues, but claims must adhere to the strict standards set forth for each program. 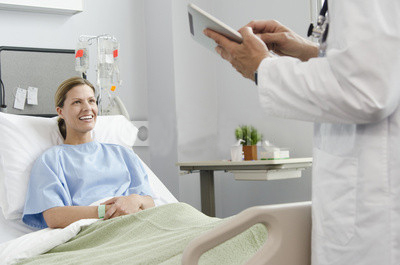 Filing a medical claim can be a time consuming process, but can be facilitated through the use of an EMR to ensure accuracy and timely reimbursements.